I saw this nice guitar accidentally on Dave Guitar Shop’s website in 2002 and I bought it on the spot. 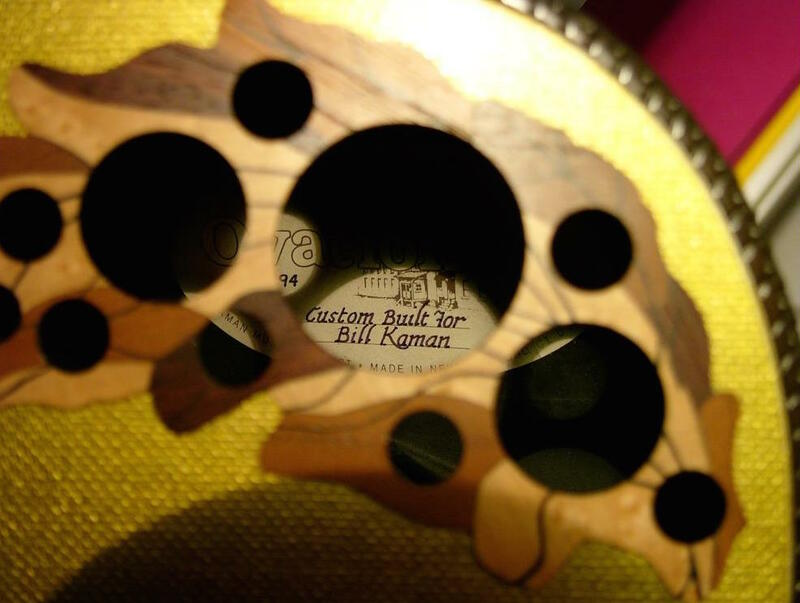 The label says “Adamas custom built for Bill Kaman” and at the time Dave told me that it had been made in the color of one of Bill’s sport cars (but later my friend Tim Kummer told me that Bill never had a gold sport car, so the story might be a hoax). Anyway, aside the gold sport cars, a guitar made by the Ovation mothership for Mr. Ovation Himself (that eventually I had the pleasure to meet online and is a great guy) cannot be but a masterpiece of perfection and a piece of American guitar history. 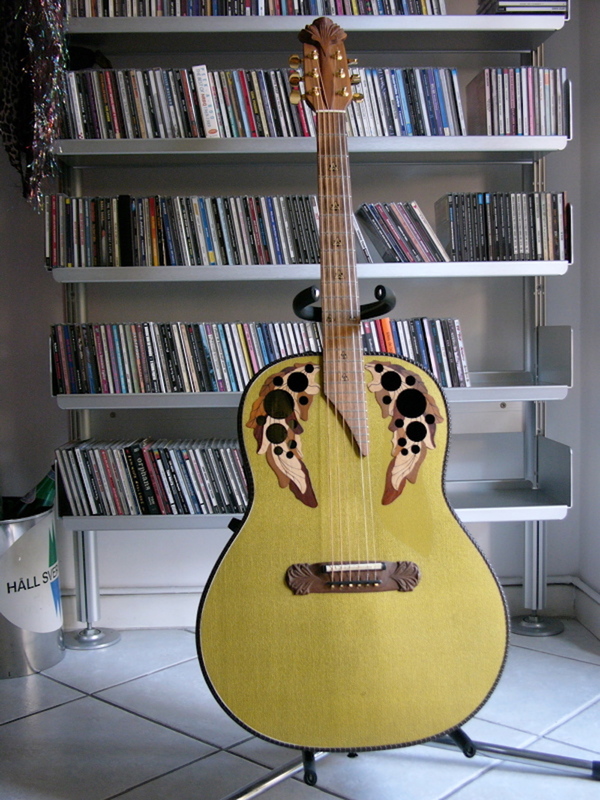 There is no date, but according to Jérôme Galopin the serial number says that the guitar was completed April 5, 1994. Obviously the quality is perfect, the details are taken care of even more than on the outstanding standard Adamas guitars of the same era. Incredible neck, perfect action, a great playability and an awesome sound. Is an Adamas custom built for Bill Kaman the Adamas of the Adamases?